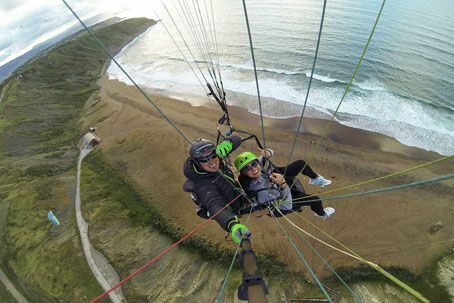 Flying is a pleasure, for more than 15 years in Paragliding Bizkaia we offer you the safest way to fly and with the best professionals in the area, Paragliding Bizkaia all instructors are sporting, technical and years of professional experience, as well as level of competition they endorse. Our instructors have worked for many parts of the world as, New Zealand, Andorra, etc….. Choose mountain or costa depending on what you like most, the excitement and adrenaline are insured. The perfect gift to surprise, special and different. Give exceptional sensations, a bit of peace and adventure, flying clears the footprint of the stress, evades in a new world. A gift with which you’ll be great and you will fulfill one of the most desired dreams for humanity… FLY!!! 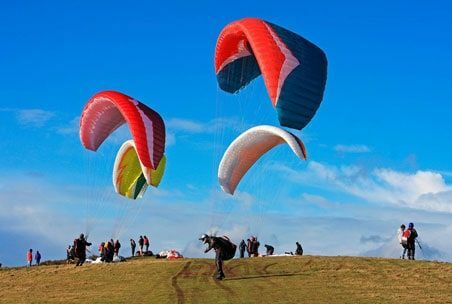 DO YOU WANT TO LEARN HOW TO FLY WITH PARAGLIDING BIZKAIA? 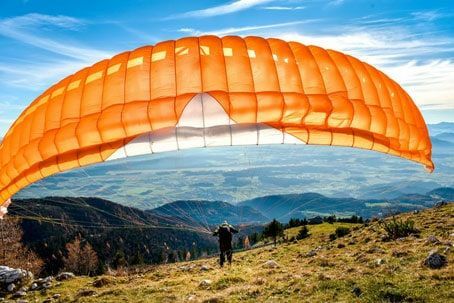 If you want to feel like a bird and learn to fly, Paragliding Bizkaia we have the last generation equipment and approved to complete the course and what better than with instructors of high professional level. 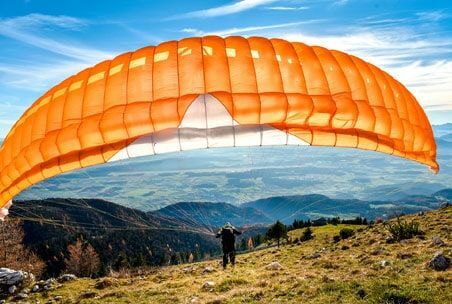 If you want to learn to fly, Paragliding Bizkaia we have with last generation materials and qualified instructors with extensive experience. Our courses, are personalized ( a student per course) and we have several products. The imparts our instructor Txema Ibarguen. For refresher courses for high performance and we propose a series of products that will help you in the different phases as pilots in the difficult art of flight. Finally we offer you for those pilots who are totally autonomous in the handling of your glider the possibility of making guided flight. 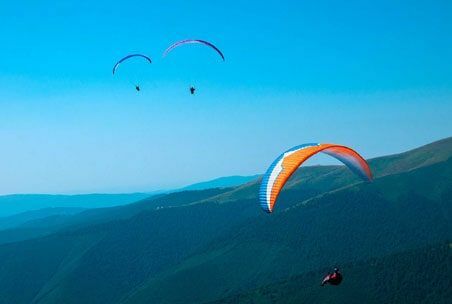 Fly in a microlight is something very quiet and different from paragliding because thanks to your engine and design we can travel watching from the air, the Losa Valley, Orduña. In a same flight we can fly by Bizkaia, Burgos and praises, thanks to the location of our airfield. 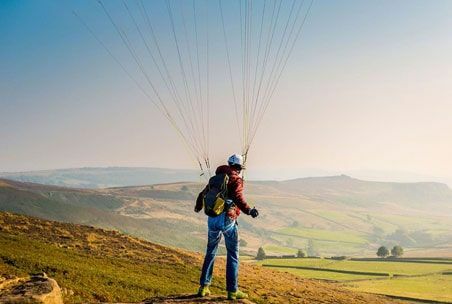 This type of flights are performed at sunrise and sunset, to enjoy the best conditions for this type of flight and the light we have in those times.